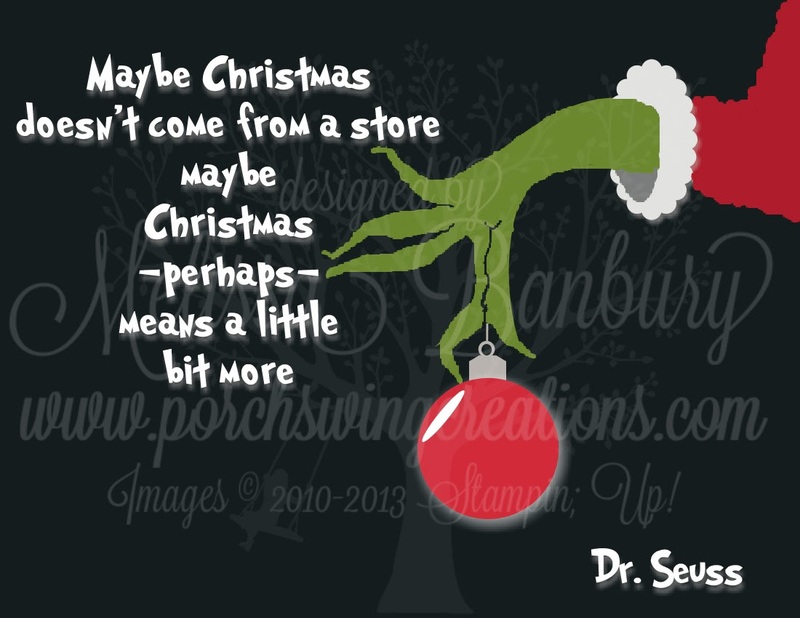 Either way I like a challenge and love that now that I've got the designing and executing out of the way I can print it ANY size I want to put out with my other Holiday decorations! For this year I choose to print it 5"x 7" and added another punch art Cindy Lou Who along with a double bow to spruce up the frame but I think I'll change it up next year when I have a little more time - I think the frame would look fabulous painted lime green or red, don't you think?? 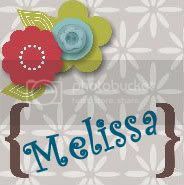 Maybe lime green with red polka dots! There are so many other possibilities! I think another great idea would be to print it onto our Canvas Creations paper and stretch it around a frame for a real artsy painted look, or use it on a Christmas card with Family Photos surrounding it...just use your imagination! 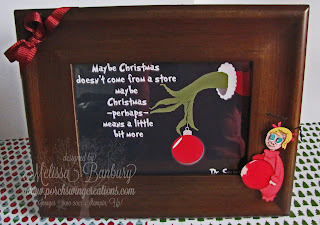 I hope you've enjoyed my Grinch themed week here on the blog! I'm still hoping to finish another house similar to Cindy Lou Who's luminary to add to the collection before Christmas, so check back for that if your interested in creating your own Whoville Village. I hope you have a wonderful weekend! There's still plenty of time to complete a project or two so grab a cup of hot chocolate and stay awhile for some inspiration or step by step tutorials from my Tutorial Store! just fantastic! you did a really great job.